Product prices and availability are accurate as of 2019-04-23 00:48:09 UTC and are subject to change. Any price and availability information displayed on http://www.amazon.com/ at the time of purchase will apply to the purchase of this product. 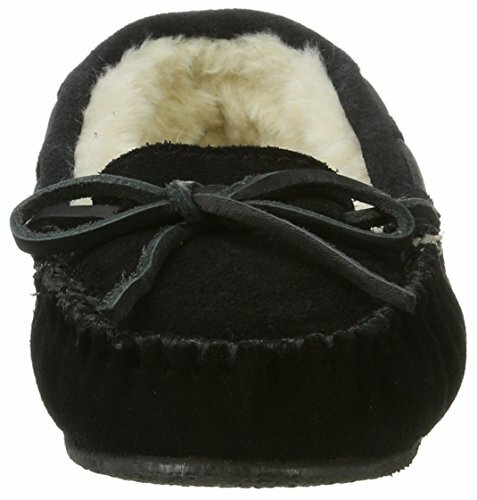 No brand makes a casual slipper quite like Minnetonka. The suede upper features a traditionally stitched moc-toe and 360-degree lacing, while faux fur lining adds extra warmth and coziness. The rubber outsole is substantial enough for outdoor use.